The breaks, which will include tours to Rutland, Derbyshire and Yorkshire, take place over three days with two nights’ accommodation, one evening meal and the company of an expert lecturer. 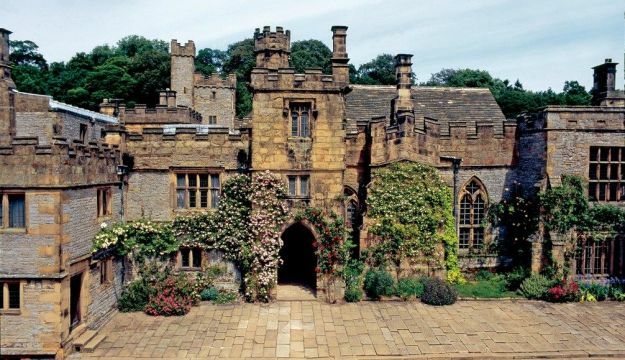 Each includes visits to a number of celebrated stately homes such as Burghley, Haddon Hall and Kedleston as well as little known country houses and villages such as Deene Park and Tissington. Through these tours visitors can explore the history of Britain through great architecture, family stories, interior decoration and stunning works of art. The breaks are aimed at curious individuals, couples and older families looking for a truly enriching experience. They can book a short break over a weekend or midweek or combine two tours to make a week’s adventure. By using the services of an expert lecturer, visitors are given new insights into history plus they have the opportunity to visit places exclusively out of normal opening hours. Prices start from just £530 per person including accommodation, meals, entrance tickets and travel and thereby offer excellent value for money. The tours can be booked with just one simple phone call or online at www.hudsonsheritage.com/shortbreaks so alleviating any stress through planning and organisation. Sarah Greenwood, publisher at Hudson’s said “We are delighted be able to use Hudson’s unrivalled knowledge of Britain’s heritage to launch our three special and unique tours this summer. These tours are a great way to enjoy a quintessentially British break, extend your knowledge of British historic houses, have a great time in congenial company in some exceptionally beautiful parts of the country and discover some properties that are not always on the tourist map”.